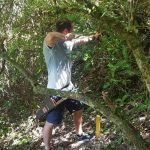 A great instructor, heaps of fun and walk through beautiful NZ native (That rivals many paid bush tours). 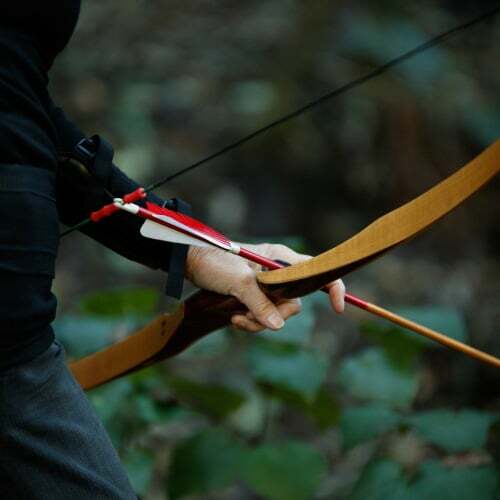 You might be thinking that instinctive archery takes years to master, but we show you the right posture, how to hold and draw the bow, and before you know it you will have started your journey into instinctive archery. You will develop the ability to shoot your arrow into the exact spot you’re mentally focusing on. 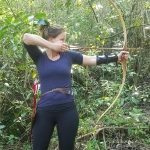 While this technique takes a lot of practise to master, we always see great results with our training method and you will feel the rush of adrenaline as you see your arrows hit their mark. 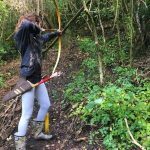 We have gone to great lengths to find longbows suitable for beginners, as we want you to have the best experience. The arrows are custom made to be a perfect match for the bows. The Archery Park gear for guests is maintained to the same standard as our own personal archery gear. Special archery targets in various shapes and sizes await you thoughtfully placed throughout the park. Shoot at targets in the shape of a boar or rabbit and meet some marvelous fantasy creatures like Dragons. The tramping track leads into 5 hectares of pristine native forest along Nelson’s cleanest stream. You will be shown interesting plants, birds and natural features along the way. 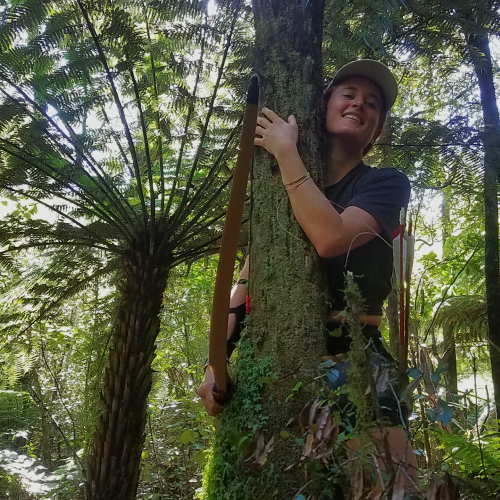 Walk under Totara and Maitai trees that are hundreds of years old and tower high above the forest and shoot between 6m tall silver-ferns. Get close to New Zealand bird life, with Bellbirds, Robins, Tuis and Fantails abundant. Enjoy Nelson’s cleanest stream and leave civilization behind. 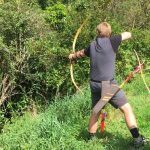 Your trusty guide and archery coach is long time longbow archer Markus. 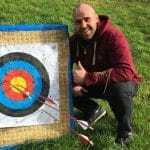 He has been practising the sport for over 17 years and has now made his life-long dream a reality by opening Archery Park to share with you his passion and knowledge in this beautifully tranquil park. 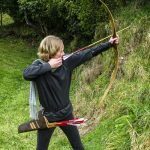 Markus is a certified NZFAA community archery coach, has built his own bows and arrows and has trained hundreds of archers. He is actively involved in the professional field archery sport. 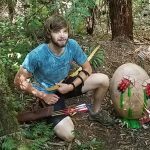 He has won and organised several archery tournaments and recently won the silver medal in his division in the 2018 NZFAA Bowhunter Nationals. 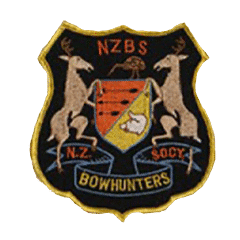 Markus is a member of the Traditional Archery Society, the New Zealand Field Archery Association (NZFAA) and the New Zealand Bowhunter Society (non-hunting, but enjoying their tournaments). 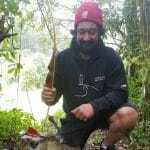 He has also been an administrator for one of Europe’s largest traditional archery internet discussion boards. Expect a great time . . . And then see your expectations exceeded! What can I say? The activity was organised by my adult kids and I went along expecting to shooting arrows for an hour. Instead we got a 3+ hour adventure. We got a first-rate tutor, Markus, who gave clear, safe, practical instructions (and patient too) teaching us the basics. Then, it’s off into the forest hunting for dragons and creatures, Lord of the Rings style. The amazing thing was how deceptively Marcus improved our shooting skills with each target increasing in difficulty. I could not believe that we were hitting targets as accurately as we did. The scenery in the forest was beautiful and surprisingly cool for such a hot day. We had a blast . . And recommend it 100%. . . Worth every cent. Tours start most days at 10.00am. Just choose the day and start time that suits you best in our online booking system. It is essential to book in advance as all tours are by arrangement only and are limited to 6 people. It’s important that everyone arrives on time as we’ll depart as a group. Please allow 3 to 4 hours for your Archery Adventure. The cost is $125 – our special opening rate! Children and local specials are available. Please Note: All Children must be accompanied and supervised by a responsible adult at all times. The accompanying adult must participate in the activity. All prices include GST. A portion of your payment will support our Robin Hood Scheme and our Archery Club. All you need is a pair of sturdy shoes, weather appropriate clothes and a sense of adventure. 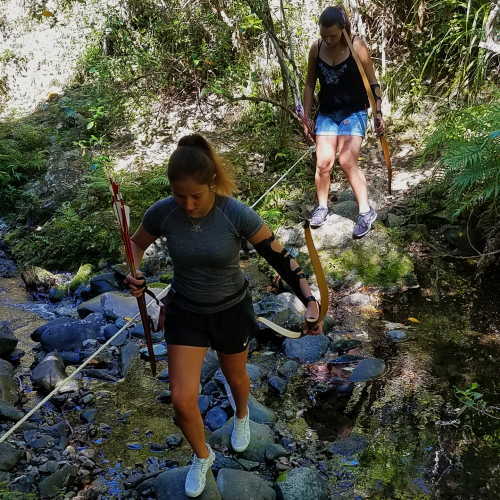 Our unique forest archery adventure takes place along a 3 km track with uneven ground and two small stream crossings with a rope handrail and boulder hopping. Jandals (flip-flops) are not appropriate footwear! Bring sunscreen and insect repellent, water and a snack – carry it in a small backpack so that you have your hands free for your bow. Carry your emergency medication if you are allergic to wasp or bee stings or anything else you might encounter outdoors. And please advise us about this when you book. You need to be fit enough to walk an outdoor track of about 3km which has uneven, steep, muddy and narrow sections. The track crosses two small streams using boulders and handrail ropes. But we do not expect you to know anything about archery. 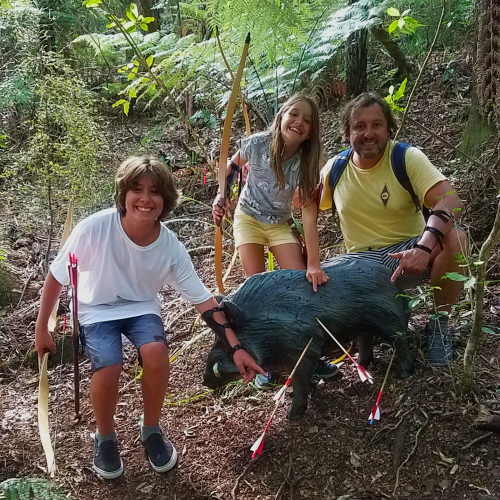 The Dragon Hunt Archery Adventure is suitable for kids from the age of 10 onward. They must be able to walk for ca. 3km and be able to spend 2 hours outside in the bush as we can’t return to base in the middle of the tour. Children must be accompanied by a responsible adult that must also participate in the archery experience. 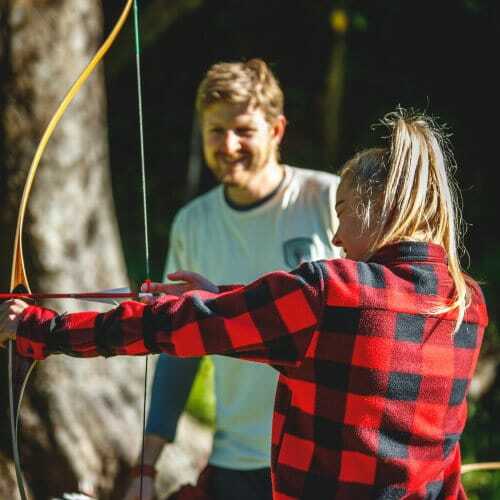 If they are under the age of 10 but have experience in archery or are fit and very coordinated from other sports we may agree to their participation, but contact us before you make your booking so that we can assess the situation. Heavy rain and strong winds severely affect arrow flight and can create risks on our track network. Should we have to cancel a session because of a bad weather forecast, we will advise you on the day before your booking at around 5 pm. A full refund will be issued. Please note that this is a rare occasion, as we’re in sunny Nelson. After heavy rain, the streams in our park can be very high for a couple of days. In this rare case we will get in touch with you and you can choose between three options: 1) Simply postpone your booking, 2) Enjoy an extended archery training session on our practise range and get a 50% refund, or 3) Receive a full refund. 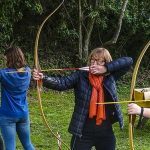 Our visitors, young and old, local and foreign, experienced and absolute beginners alike have raved about their experience at Archery Park. Just Brilliant! Markus provides a fun, informative and very enjoyable opportunity to try 3D archery. Being run in small groups it’s great value and you get plenty of individual guidance to master the basics. You may have tried archery before but this will be a totally new experience! 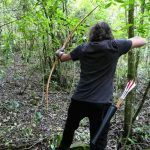 Markus is passionate and knowledgeable, he will teach you how to become a great archer. You will be amazed at how much your aim improves with his helpful advice! Taking your skills from the range to the woods and aiming at life like 3D animals was a definite highlight! 100% recommend this experience! This was the most enjoyable day of our trip! I had never shot an arrow before, but Markus made it fun and easy. I think I even got really good at it! Congratulations,Marcus, on setting up a world class archery park. 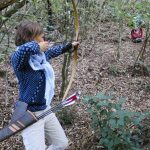 We loved the archery in the woods experience and range of 3-D targets – so much better than a bullseye target. 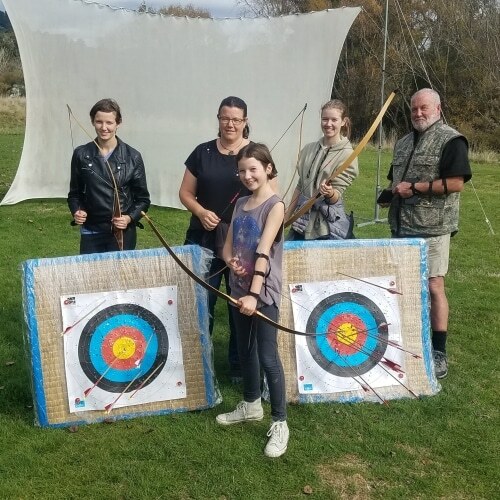 Your excellent safety briefing, top notch archery training and quality equipment (long bows, arrows, arm guards and quivers) ensured the best possible experience. Thank you for an awesome archery adventure. We had an amazing time at Archery Park Nelson. What a lovely way to spend an afternoon. It is not to be missed. We were a little nervous to start, but with the fantastic and professional introduction from Markus, we were hitting (faux) woodland creatures in no time. I can’t recommend this enough!!! We’ll be back. Thanks Markus and Christine from Barry and Fiona at The Car Concierge Nelson. We went out for a great morning shoot yesterday. Started with a warm up on the range and received some useful tips. Then we headed in to the woods for some 3D target shooting, it was much more fun than a standard range, having to position your feet and body to avoid trees and get the sweet shot. I can’t wait to go back with more people. Wow! What an awesome experience. Markus is a top man with 17 years experience and great people skill. Definitely recommend to anyone in the Nelson area. Wonderful introduction to Archery. Marcus is very professional, taking us through the basics, safety, technique, target practice and game hunting. Excellent equipment and very well thought out and fun 3D range. Marcus is a talented Archer and we are looking forward to more occasions with him as we improve and evolve our skills. Archery Park is only a 15-minute drive from Nelson Central. We’re located at Cable Bay Adventure Park on 194 Cable Bay Road, Nelson. Drive 14km north from Nelson City towards Picton. Turn left into Cable Bay Road at the sign posts Cable Bay. We are 2 km down Cable Bay Road on the right-hand side – look for the Archery Park Flag and the Cable Bay Adventure Park sign. 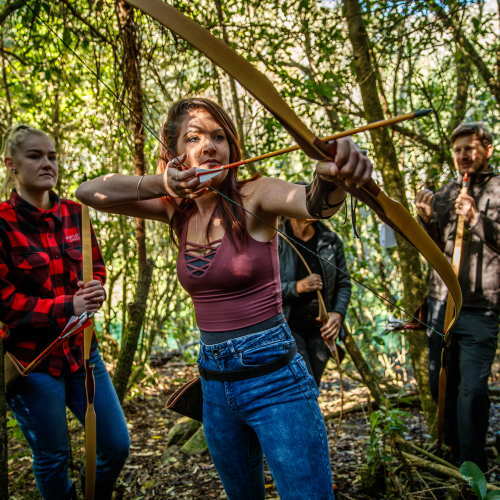 Free pickup: We offer a free pickup from Nelson i-Site visitor information centre for all Dragon Hunt Archery Adventure bookings. Be the first to hear about news, specials and progress regarding our community projects. I agree to receive emails from Archery Park Nelson informing me about news, events and specials. Please book online or contact us to schedule your visit. Come out to us on Anzac day and the rest of the week to have a go at archery with extra time and special targets! We’re running sessions all day from 10am to 5pm, starting on the hour. Saturday from 2pm. Weather dependent! 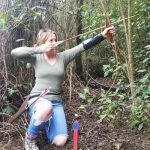 Get instructions from a certified coach and shoot with real longbows. Test your skills with our special targets at the end of your session. No need to book, just come out. See you there!